Shoes, glorious shoes! What bride doesn’t want a pair of fabulous designer wedding shoes to walk down the aisle in? Today we’re sharing a few of our favorite stiletto beauties worn by real Junebug brides. Don’t forget to stop by our Real Weddings Library and be inspired by all the fabulous eye candy! Photo by Katherine Salvatori Photography and bridal shoes by Badgley Mischka. See more from bride Taylor’s wedding day look! Photo by Sarah DiCicco and bridal shoes by Jimmy Choo. See more of bride Kelly’s gorgeous wedding day look! Photo by Daniele Del Castillo and bridal shoes by Casadei. See more from bride Francesca’s glamorous wedding day look! Photo by Geoff Johnson and bridal shoes by Badgley Mischka. See more of bride Brooke’s vintage wedding day look! Photo by Lisa Lefringhouse Photography and bridal shoes by Oscar de la Renta. See more from bride Lauri’s summer wedding day look! Photo by Jillian Mitchell Photography and bridal shoes by Gucci. See more from bride Fanita’s glamorous wedding day look! Photo by Caroline + Ben Photography and bridal shoes by Jimmy Choo. See more of bride Kimmie’s multicultural wedding day look! Photo by Asya Photography and custom bridal shoes by Something Bleu. See more of bride Khaki’s BHLDN wedding day look! Photo by Jeff Newsom and bridal shoes Badgley Mischka. See more from bride Sonia’s beautiful wedding day look! Photo by Troy Grover Photographers and bridal shoes by Manolo Blahnik. See more from bride Carrie’s sweet wedding day look! Photo by The Oberports with bridal shoes by Vera Wang. See more of bride Katie’s beautiful wedding day look! Photo by Catherine Mead and bridal shoes by Valentino. Looking for more gorgeous bridal fashion inspiration? 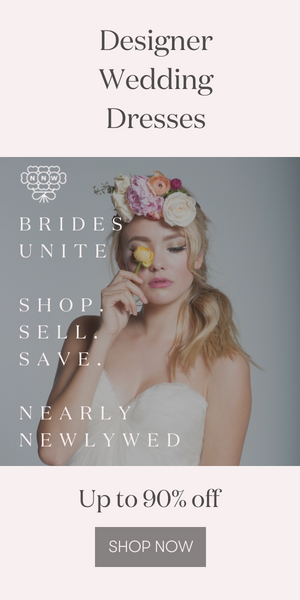 Stop by our Wedding Dress & Accessories Gallery for more incredible bridal fashion! amazing to see those heels . I’ll gift such heels my girl friend .